Though arguments could be made for Central Otago and Martinborough being New Zealand’s greatest regions for the production of Pinot Noir, ask just about any Pinotphile to list the country’s top 10 producers and two names from the relatively unsung region of North Canterbury will come up again and again: Pyramid Valley and Bell Hill. North Canterbury, close to the city of Christchurch on the South Island, may not yet enjoy the popular acclaim of Otago and Martinborough as Pinot hot spots, but these two estates (and there are others close by which are also causing a stir) are at the vanguard in exploring what could be the country’s most exciting Pinot terroir. The key is limestone – the holy grail for Pinot producers looking towards the wines of Burgundy – found here, but extremely rare in the vineyards of New Zealand’s other established Pinot territories. Pyramid Valley was featured in depth when I visited New Zealand in 2011, and the two estates have much in common. Bell Hill is also inspired by Burgundy, focusing resolutely on soil and vineyards which are planted at very high density. The wines are made with fanatical attention to detail but a very natural, ‘hands off’ approach. Both estates also farm biodynamically. Bell Hill was founded by partners Marcel Giesen and Sherwyn Veldhuizen. Marcel studied viticulture and oenology in Germany, but has worked vintages at estates across the world. He emigrated to New Zealand in 1983 to join his brothers in the family business, Giesen Wines. Local girl Sherwyn studied viticulture and oenology at Lincoln University in Canterbury, though she too has worked worked vintages in Europe and America. 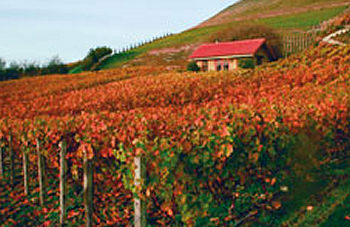 In 1995 the couple set out to find a plot of land, specifically to grow Pinot Noir and Chardonnay. Their goal was limestone soil, which they were convinced allowed Burgundy wines to be made with “structure, acidity and longevity.” Six months later they had found the site that was to become Bell Hill. The couple say they “took a risk,” as the site is also elevated and the climate can be marginal The site was first planted to Pinot Noir in 1997, with further plantings of Pinot, Chardonnay and a small amount of Riesling through until 2009 when the vineyards reached their current size of little over two hectares: it’s a tiny operation, producing fewer than 500 cases per year. The vineyards are based around an old limestone quarry, some blocks with rich fossil deposits. They are planted at densities of up to 12,000 plants per hectare. Bell Hill has divided its vineyards into small blocks: Quarry, Shelf, Limeworks, Steps, Roadblock, Slope and Westbank. So far they do not produce single block-designated wines, but this surely must be an ambition in the future if the Burgundian model of Premier and Grand Cru sites is to be followed. For now the blocks are being carefully studied for their differing properties, but the estate wines are blends. The 2008 Pinot, for example, is six barrel from the Shelf, Limeworks and Quarry blocks. Oak is 100% French, all new for the Pinot Noir. I had tasted Bell Hill’s Pinot only once before, on my visit to New Zealand in 2011, so have added that note below, but recently I had the opportunity to taste their 2008 Chardonnay and Pinot Noir, because last year Armit became the exclusive UK agent for the wines. These wines are expensive (massively so by New Zealand standards), so whether or not you would consider them value depends very much on your viewpoint and your appreciation of this style of Pinot Noir. I was hugely impressed by these wines, considering them amongst the best expressions of the grape I have tasted from outside of Burgundy. Please note that due to the tiny production these wines are scarce and sell out quickly. See all Bell Hill wines on wine-searcher. Fabulously flinty and limey nose, a real sense of minerality but an overlay of Brazil nut, buttery, super-ripe fruit too. The quality of oak is all cashew and ground almond in a subtle added dimension. Beautifully sweet fruit on the palate, simmering with peach and ripe apple, a touch of glacé fruit, but again that lime and mineral, stone and sea shell intensity. Approximately 850 bottles were produced. 94/100. £58.99, Armit. What a haunting nose, such a beautiful profile combining ripe, rich, chocolaty fruit, a certain truffle and damp undergrowth intrigue and notes of roast chestnut, game and blood. There’s a lifting perfume of orange blossom in there too. The palate does not falter, beautifully soft with a touch of orange again, leafy bracken notes that are gamy and complex and a fine palate of red fruits. Very elegant, silky tannins and discreet, fine acidity complete an utterly convincing picture. Approximately 1780 bottles were produced. 95/100. £69.99, Armit. Beautiful nose, nicely vegetal Pinot aromas of rhubarb and beetroot, but delicious truffly notes too and masses of ripe, luscious berry fruit over a chocolaty background. On the palate the sweet fruit sings out, masses of chocolaty, ripe berries and plum, great structure too with refined tannins and a silky weight of fruit clearly delineated by the acidity. Approximately 1,200 bottles were produced. 94/100. £69.99, The Wine Company. 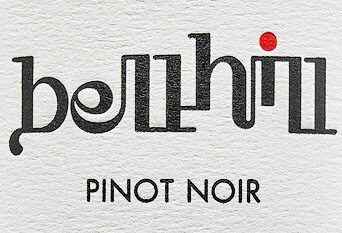 (Tasting note from the Central Otago Pinot Noir Celebration 2011) See all Bell Hill wines on wine-searcher.